During SIHH 2018, we broke the news that Jaeger-LeCoultre has unveiled an entirely new watch collection, Polaris, inspired by the Memovox Polaris line from 1968 that is celebrating its 50th anniversary this year. The entire series takes its design cues from the past, but with updated styling and message. While there are five key models in the collection, easily one of our favorites is the Jaeger-LeCoultre Polaris Memovox (Ref. 9038670) – simply because it is an alarm watch and is the most immediately recognizable piece for any one who knows the Memovox history. Here, we go hands-on for a closer look at the highly desirable Jaeger-LeCoultre Polaris Memovox watch. The new 42mm Polaris Memorex watch is crafted in stainless steel and houses the Jaeger-LeCoultre Caliber 956 — a grand automatic movement with 268 parts and a generous 45 hours of power reserve. 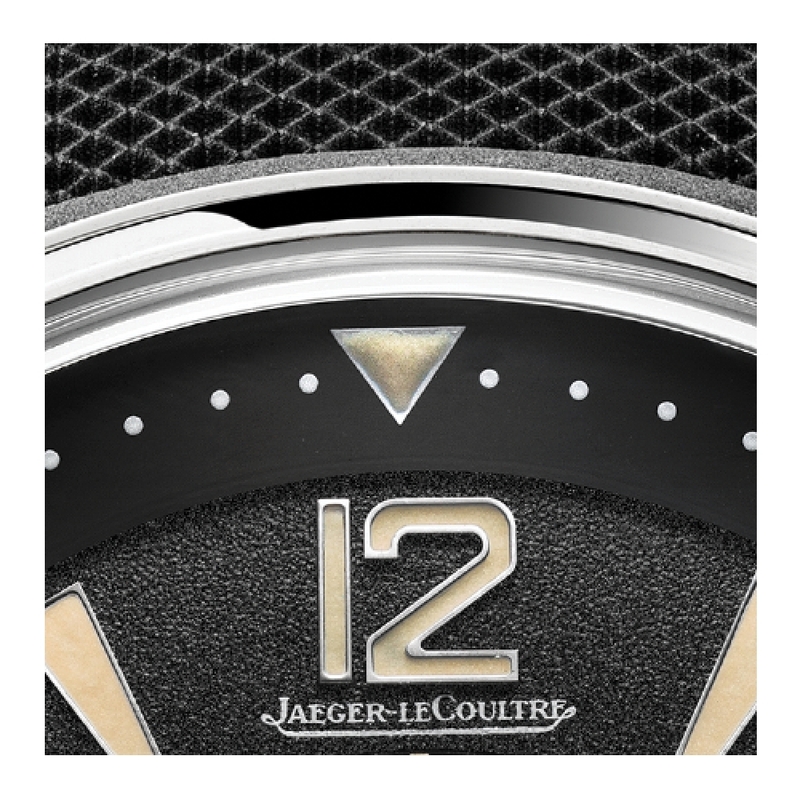 With a striking black dial with famed triangular marking at 12:00 and elongated triangular markers and luminescent numerals, as well as baton hands, this watch most emulates its historical reference. In addition to hours and minutes, it offers date indication at 3:00, central seconds and alarm function. Water resistant to 20 bar, the Jaeger-LeCoultre Polaris Memovox’s alarm can be operated under water –emitting a vibration under water and a long audible alarm out of water. 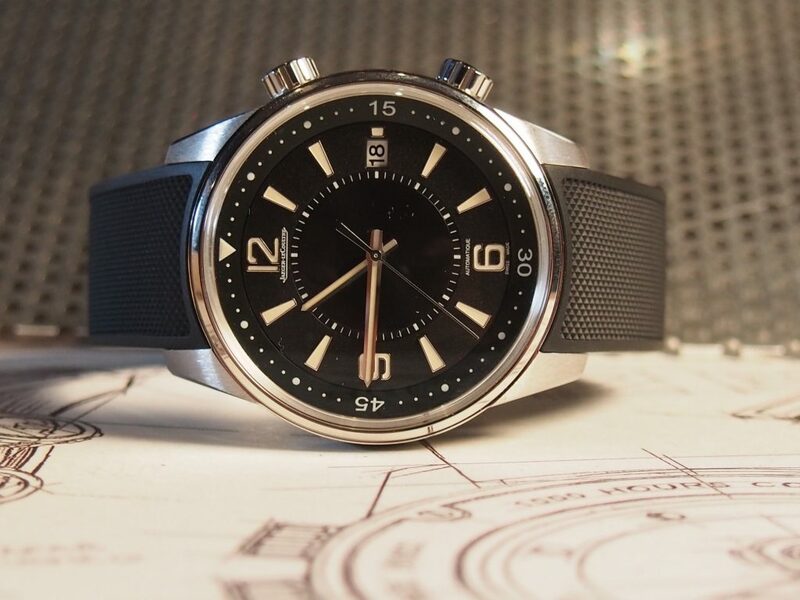 A steel bracelet version of the Jaeger-LeCoultre Polaris Memovox alarm watch is also available. Setting the alarm, which is indicated by a small triangle on a rotating disk in the center of the dial, is also easy. The wearer simply pulls the crown at 2 o’clock and turn it counter-clockwise to rotate the disk and align the triangle with the desired time for the alarm to sound. 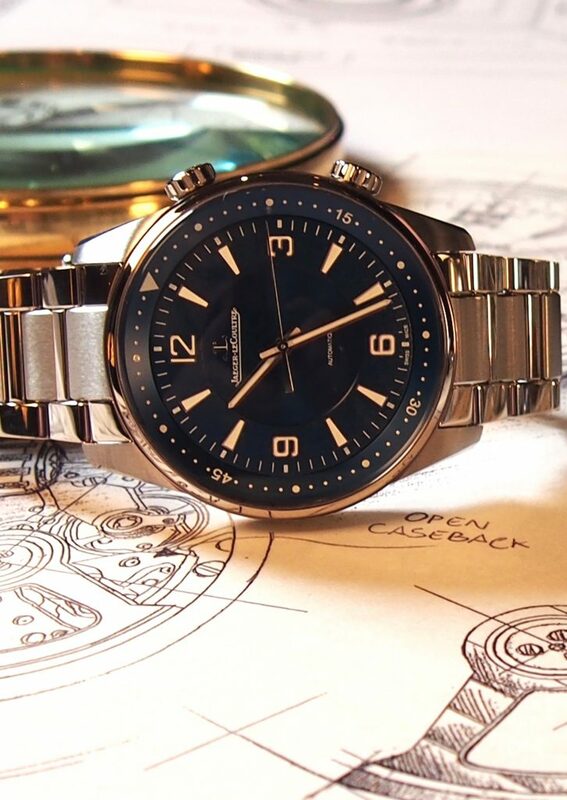 The alarm of the Jaeger-LeCoultre Polaris Memovox is adjusted via the crown at 2:00, which enables the wearer to set the triangle to the desired time for the alarm to sound. The case-back of the Jaeger-LeCoultre Polaris Memovox watch is closed instead of transparent sapphire in order to offer the best sound support for the hammer of the alarm mechanism. 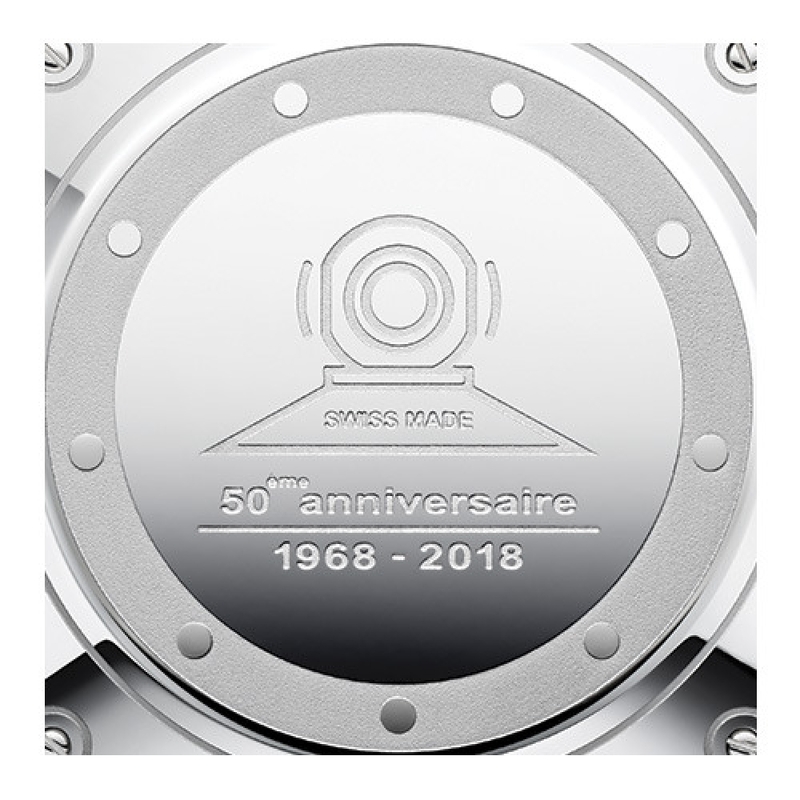 However, the case back is engraved wit ha diving helmet that recalls the original model, which hid that symbol inside its case, and with the “50th anniversary” inscription. The watch is finished with a rubber strap. At $12,600, this stainless steel watch is a steal. Now, for the bad news: it is only available in a limited series of 1,000 pieces. The case back of the Jaeger-LeCoultre Polaris Memovox is engraved with a diver’s helmet similar to the one found in the original 1968 Memovox. March 12, 2018 in Brands, Educational info, Jaeger-LeCoultre, Reviews and Articles, SIHH 2018, Timepieces News, Reviews and Articles, Watch Shows 2018.